The Battle of New Orleans was a series of engagements fought between December 23, 1814 through January 8, 1815 and was the final major battle of the War of 1812. 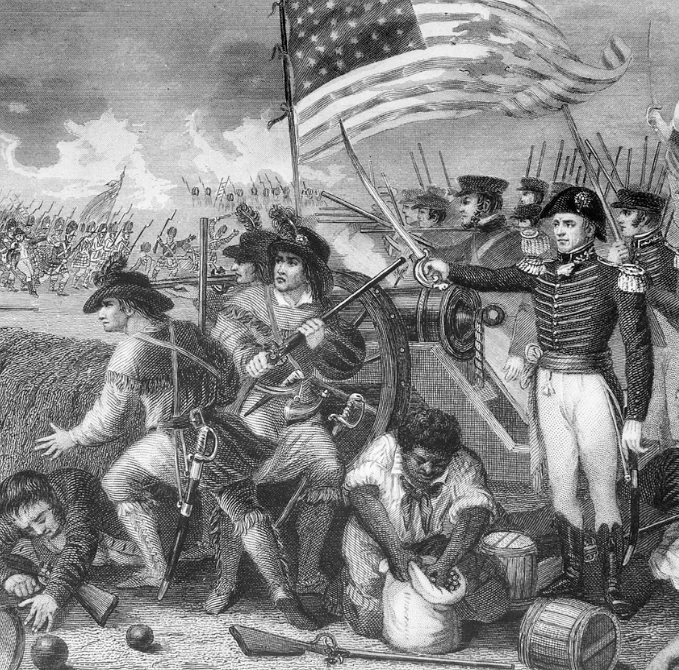 American combatants, commanded by Major General Andrew Jackson, prevented an invading British Army, commanded by General Edward Pakenham, and Royal Navy, commanded by Admiral Alexander Cochrane, from seizing New Orleans as a strategic tool to end the war. The Treaty of Ghent was signed on December 24, 1814 (but was not ratified by the US Government until February 1815), and hostilities would continue in Louisiana until January 18 when all of the British forces had retreated, finally putting an end to the Battle of New Orleans. — Battle of New Orleans – Wikipedia, the free encyclopedia. 8 Jan 2015 in Culture, Government, History. ← So We’re Supposed to Be “Amazed” or “Surprised” That Tween Boys Won’t Slap a Girl?